Cakes are enjoyed by all – young and old!! Cakes are the best choice to announce special occasions like a Birthday, Wedding or an Anniversary. The joy you experience on seeing a beautiful cake cannot be described in simple words!! Nothing warms the heart like a thick, rich slice of freshly baked cake. Even if you've had problems baking in the past, there's no need to be intimidated by the process. Baking the perfect cake can be fun and simple if you follow the right methods. I have been baking cakes since I was 12!! I see the same passion as I had in a lot of my students.However, back then we didn't have much experience and no access to any professional cake making classes. Times have changed now. People are travelling more and are getting savvy. They will not compromise on taste and originality. To make cakes of International standards, you have to understand the ingredients and techniques used, source them and use them efficiently. This is not possible without some professional guidance. At my baking classes in Mumbai, students are taught right from the basics of cake baking to the most advanced levels. There are a lot of cake classes you can choose from. I offer Tea time cakes where you shall learn to make delicious brownies, muffins, coconut cup cakes, etc. This is a very basic, easy and quick class. Fresh cream and chocolate cakes are covered extensively in my CAKE BAKING AND ICING CLASS, where I teach the basic sponge cakes, icing and decoration. It's a hands on class where the students shall get fresh cream to practice their nozzle work. One of the most popular course in my cake making classes is the cup cakes with frosting. You shall learn the yummiest cup cakes with the most exotic frostings. And of course, I also offer you premium desserts and cakes – Tiramisu, Cheese Cakes, Chocolate Fantasy and Sinfully Divine. Baking is not only restricted to cakes. 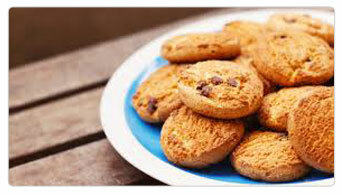 I even conduct baking classes for cookies, Exotic Cookies, Breads, Pies and tarts. All the recipes taught in my cake baking classes are available with eggs and eggless as well. Students are taught how to use the ovens, set the temperature, what is the best equipment to be used and of course how to maintain them. All questions are answered patiently and all queries taken care of even later. So what are you waiting for? 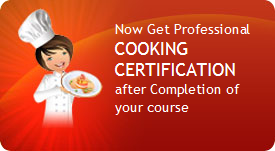 Come and enroll yourself in the most popular and famous cake baking class in Mumbai.